Staff at Norway’s airport authority Avinor woke up to a nightmare on Friday, when the data network that provides air traffic information crashed for several hours. The cause of the crash, which forced closure of all Norwegian airspace, was unclear and the prospect of hacking was under investigation. 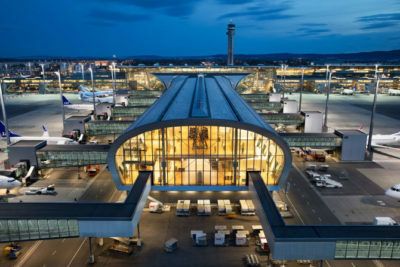 Avinor officials claims the problem occured “outside Norway,” at the civilian and military international organization Eurocontrol, but it halted all departures and arrivals at Norwegian airports. The error was eventually corrected and flights were taking off and landing again by 7am, but Avinor’s communications chief Gurli Ulverud told state broadcaster NRK that flight delays could occur throughout the day. “I don’t know what the reason for the error was, but we expect to find out,” Ulverud told NRK. The first warnings began to be issued around 4am and Norway’s national security authority NSM (Nasjonal sikkerhetsmyndighet) reportedly has had “dialogue” with Avinor. The situation was serious enough that “crisis alerts” were issued in accordance with routines, and Ulverud herself contacted the state transport miistry. “I don’t think other airports in Europe were hit, but all airports in Norway were,” Ulverud said. Asked whether hacking was behind the data breakdown, she replied that “I think all large organizations work to prevent that, and fear it, but we have no reason to believe that the incident had anything to do with hacking.” The problem occurred at the end of a week when Norway’s police intelligence service PST warned once again about hacking and when large technology and financial services firm Visma reported that it had been targeted by hackers. Ulverud said she couldn’t guarantee the error that halted flights wouldn’t recur. NRK reported that Avinor’s own employees, along with Avinor’s supplier of information technology, worked to uncover the error and correct it. Ulverud wasn’t sure whether such trouble has ever hit Avinor’s system in the past.